After months of showing nothing more than a blue screen, it appears Manchester's music channel Fire Hit TV has come to the end of the line. New data from Ofcom confirms the channel no longer holds a licence for terrestrial broadcasting; the licence has been ceased for unspecified reasons. There have been no public announcements about the status of the channel since last year. The station, which, at the time of publication, is on Freeview channel 60 in the Manchester area only, first appeared on the Freeview EPG in 2013, before launching in January 2014. But viewers in the area confirm that over the past few months, no actual content has been observed on the channel, which previously showed a range of music videos. It is currently showing a blue screen. Fire Hit TV was set up by Triple Broadcast when it owned Bournemouth's Fire Radio. Since its launch, Fire Radio was sold off to Celador, but the Fire name was retained for the TV station. 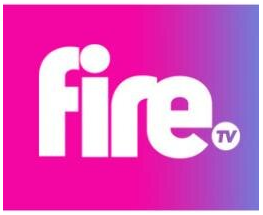 Although broadcast to Manchester only on Freeview, the current legal entity behind the station, Fire Television Limited, is registered in Cardiff.